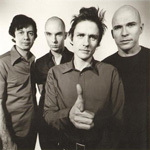 Luna was a "dream pop"/indie pop band formed in 1991 by Dean Wareham after the breakup of Galaxie 500, with Stanley Demeski and Justin Harwood (Demeski formerly of The Feelies and Harwood formerly of New Zealand band The Chills). Photo by Thomas Barrasso Nebula Studios. Taken at the Paridise in Boston, MA on the Pup Tent tour. The only constant member for the life of the band was Dean Wareham. A trailer for the Luna documentary film. Directed by Matthew Buzzell. Performed live on network television. In 1991, after leaving Galaxie 500, Dean Wareham signed a demonstration recording deal with Elektra Records, and recorded some demos with drummer Jimy Chambers of Mercury Rev. Songs included Anesthesia, I Can't Wait, and Slash Your Tires. Anesthesia was released as a single (under the name Dean Wareham) on Number 6 records. Elektra liked what they heard and Dean began to put Luna together, calling his friend Justin Harwood (former bassist with the Chills) in New Zealand. Justin moved over to New York City, taking an apartment on east 16th street, and the two began auditioning drummers. The first drummer's name was Byron Guthrie, and the trio rehearsed in the basement underneath his apartment on Avenue B. They recorded another group of demos (produced by Dave Fridmann) and played a couple of shows together that included Grasshopper (also of Mercury Rev) on guitar. 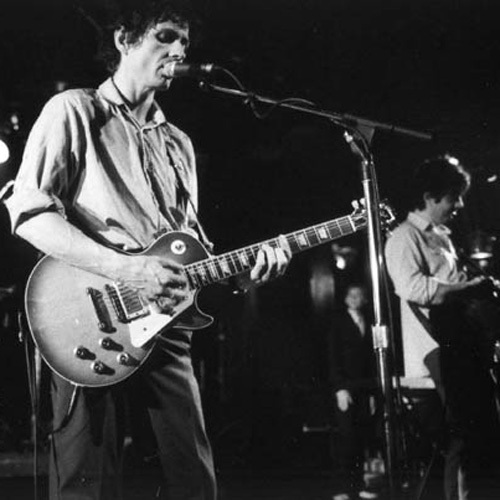 Byron was replaced by Stanley Demeski (ex of the Feelies), and this lineup (Dean, Justin and Stanley) recorded the first album, Lunapark. The record was produced by Fred Maher (former drummer with Richard Hell and the Voidoids and Lou Reed) and recorded at RPM Studios in New York. Upon completion of Lunapark, an ad was placed in the Village Voice seeking a permanent guitar player, and Sean Eden was recruited. Sean had come to New York to pursue an acting career after studying at North Carolina School of the Arts. The first recordings as a quartet were the covers for the Slide EP: Ride Into the Sun, That's What You Always Say, Indian Summer, and the Christmas single Egg Nog. These recordings were produced by the band and recorded at Mixolydian Studios in Boonton, New Jersey. Luna toured the United States in the fall of 1992 and spring of 1993 opening for The Screaming Trees and the Sundays respectively, and landed the bizarre job of opening for the Velvet Underground on their European tour that summer. Bewitched was recorded in the fall of 1993, co-produced by Victor Van Vugt, and recorded in New York at Right Track and RPM over a period of six weeks. Sterling Morrison of the VU came to New York and played guitar on two songs, Friendly Advice and Great Jones Street. Bewitched was released in 1994. Luna's third album, Penthouse (1995), was recently deemed one of the 150 best albums of the 90s by Rolling Stone magazine. Most of the record was recorded by Mario Salvati at Sorcerer Sound in New York. Penthouse features a secret hidden track which is a duet with Laetitia Sadier of Stereolab and a cover version of Serge Gainsbourg's Bonnie and Clyde, and the record also features Television guitarist Tom Verlaine on a couple of tracks. The record was mixed, with some additional recording and production by Pat McCarthy. In 1997 Lee Wall replaced Stanley Demeski on drums. Lee had in fact been working at RPM making coffee and sweeping the supply closet during the Penthouse sessions, and he (like Sean) had attended North Carolina School of the Arts. His first assignment was a short but hellish trip to Spain. Upon returning the band recorded demos for the Pup Tent album. Pup Tent was recorded over a period of 14 weeks at seven different studios, mostly in New York but also including a three week stint in Cannon Falls, MN in the dead of winter. It was painstakingly produced from beginning to end by Pat McCarthy (R.E.M. 's current producer). In November and December of 1998 LUNA recorded their fifth album, The Days of Our Nights, produced by Paul Kimble at Sear Sound and RPM studios in New York. After much discussion, the powers at the Elektra Entertainment Group decided that they did not want to release The Days of Our Nights. It was released on schedule in Europe by Beggar's Banquet, and the band were quickly signed by the Jericho label in the U.S. The album was released domestically in October,and went to Number One on the college radio charts. In December of 1999 Justin Harwood returned to New Zealand for good. He was replaced on bass by Britta Phillips. The band recorded their next album, Romantica, in 2001, with Gene Holder, at Jolly Roger Studios in Hoboken. The album was mixed by Dave Fridmann at Tarbox Road studios. Once the record was completed, Luna signed with Jetset Records. For the Romantica tour, Luna added keyboard player Lara Gray to the band, she has been performing with them whenever possible. Romantica was followed by the mini-LP Close Cover Before Striking, which features cover versions of songs by the Rolling Stones and Kraftwerk, a handful of new Luna songs, and two video clips. Luna's final album, Rendezvous (2004), was produced by Bryce Goggin at his Trout Recording studio in Brooklyn. 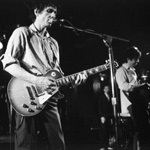 The band played their very last shows at the Bowery Ballroom in New York City, at the end of March, 2005. 2006 will see two new releases from Luna. One is a documentary about the band's final tour, directed by Matthew Buzzell, and tentatively titled Tell Me Do You Miss Me. The DVD will be released by Rhino DVD. Rhino will also release a single-disc compilation of Luna's greatest hits. Dean Wareham was born in Wellington, New Zealand. He emigrated first to Sydney, Australia, and then to New York City on July 31, 1977 during the "Summer of Sam." In New York City he attended high school with Damon Krukowski and Naomi Yang. Later the three became known as the Boston band GALAXIE 500, who made three albums between 1987 and 1991 (currently available on the Rykodisc label). In 1992 Dean started Luna. He has a Bachelor's degree in Social Studies. U.S. Out Of My Pants!